Peaches & Peaches: We Love: FESTIVALS! Karolien and me have not yet fully recovered from the heat and beer at the ever so charming Rock Herk festival (an outfit will follow later this week!) or here we are planning our next festival-stop: festival The Brave in the pitoresque Amsterdam. I have to admit that I had never heard of this festival before until Vincent contacted us through our blog. As Karolien and myself both love festivals, music, discovering bands, watching those bands with a beer or two and spotting some festival fashion styles, we were immediately excited to check out this new festivity. 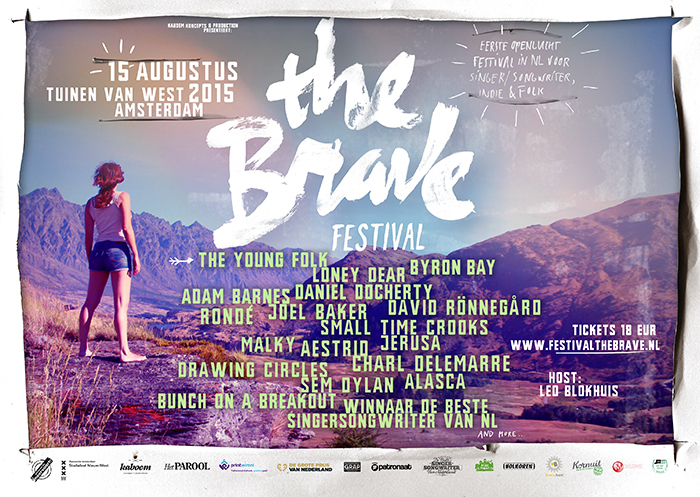 Festival The Brave is a one day only event in "the gardens of west" in Amsterdam. The Brave focusses on singer-songwriters, indie and folk only so don't be bummed when you can't find the DJ-booth! The artists performing the four different stages of The Brave are artists you are not likely to find on other (Dutch) festivals. They are upcoming artists who get the opportunity to indie-rock you of your socks with their debut performance amongst the green hills. 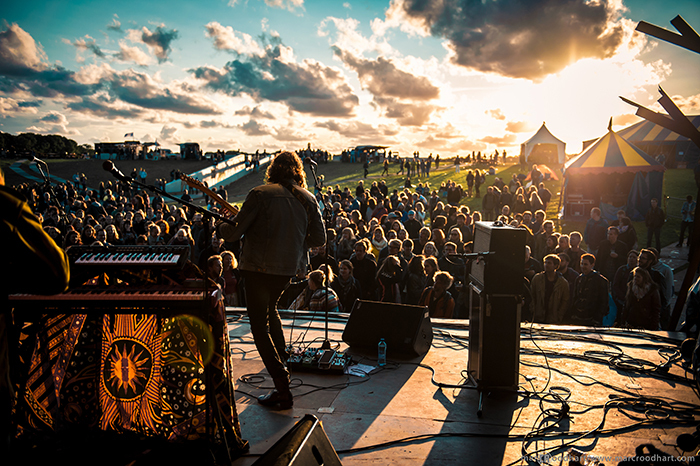 Belgian band Byron Bay (known from Humo's Rock Rally 2014 and De Nieuwe Lichting) will also be performing said hills and is definetely something I really look forward too. I might be patriotic. Aside from what seems like an awesome location and a great approach music-wise The Brave also offers a variety of food trucks, coffee stands and something called "Find your inner Unicorn". I'm not quite sure yet what that means, but I sure as hell am excited! Besides music, beer and adjusting my flower crown (I just now decided Ima wear one), food might be the biggest thing on my mind and I'm already drooling over the hot-dogs I spot on the website. Do any of you guys have plans on attending some festivals this summer? Maybe we will see you at festival The Brave? Let us know in the comment section below!